What got you started in tea? I got started in tea in the summer of 2007. I was in China for about 2 months, during which I lived with a family in Kunming and helped build a school on the border of Sichuan Province and the Tibet Autonomous Region. 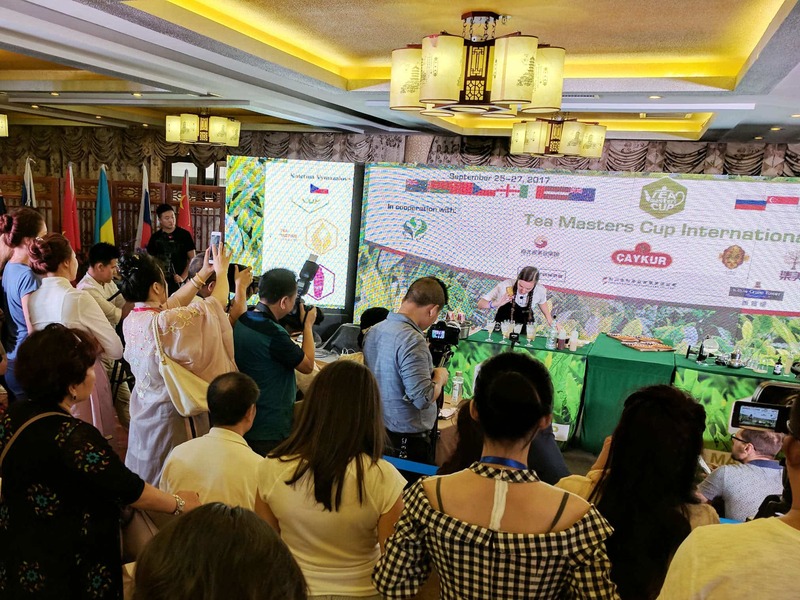 The Puerh craze was arguably in its height that summer and Kunming is the center of the Puerh trade. Tea was everywhere. I fell into it, it was part of a culture that I was trying to understand and absorb. I bought the Gongfu set p, and I watched others brew, but I did not fully understand until later that year after I started brewing consistently at home. Now I brew twice a day (almost) every day, and I am still by no means an expert. Tea is an art, not a science. I can rattle off the chemical composition of tea, but that does not make me a better brewer, I can pinpoint where most of the Puerh I drink was grown, yet that still does not make me enjoy the tea more. While the tea knowledge is part of the process, its the enjoyment of tea that make the pursuit worthwhile. What made you start the club? Was tea being well received amongst your friends? Was it a growing hobby? The impetus for starting the institute was twofold. It is not actually a club per-se, I am currently working with the student organization to be recognized as a University Institution. My goal is to teach the art of Gongfu Cha in order to preserve it for future generations, and to start the worlds first (and so far only) Academic Tea Library. Right now there is no central depository, or reliable catalog for tea. We don’t know what the 1950’s hong yin tasted like in all its stages of maturity. We don’t know how the amount of roasting has changed over the years for Taiwan’s high mountain Oolongs. The general consensus is that they have gotten greener, yet that begs the question of how have the flavors and the prevalent amount of roasting changed. How much greener have they become? when did this trend become noticeable? There are wine libraries scattered throughout Europe. It is not so far-fetched to build a Tea Library, especially with the backing of a University such as Penn State. I started talking, and then presenting on tea about a year after I returned from my first trip to China. At first I was surprised at how well it was received. Now I have found that most people have an interest in the cultural aspect and a desire to learn more. We can see this in the general population with the spread of Teavana and the like. While the spread of tea into the general population is good, part of the institutes goals is to rectify the spread of false information and make sure that “biscotti almond monkey picked Oolong” never becomes a standard. Will you only be focusing on Chinese teas and the Gongfu Tea Ceremony? The Institute’s focus will be on Gongfu Cha. It is a Superior method of brewing for the enjoyment and “connoisseurship” of tea. As a followup to my research on tea in China, I lived on a the Makaibari tea plantation in Korsong (Darjeeling), India. I harvested my own crop of tea and had a chance to compare the tea culture and methods of the two Countries. I have found the Chinese Culture and Methods to be superior. That is not to discredit Indian tea, it is to say that the China was the originator of tea culture and it was only through the British that India became a tea producing and drinking country. The majority of the institute’s time will be spent with Chinese Tea and Gonfu Cha, but as we expand we will include and learn about Japanese Cha Dao, Korean Darye, Tibetan yak butter tea (I may be the only foreigner who has ever enjoyed the potent mix of rancid butter, sour milk, Pu’er tea, and salt), and tea from India (which does not have a tea ceremony). Where will you get your teas from? What companies have you been using or are you sourcing them yourself? I source all of the teas myself through friends and acquaintances who I trust throughout China. Although I cannot endorse any company because of my position and affiliation with a future university institution, I will say that Scott Wilson of Yunnan Sourcing, Jake & Rob of Andao, Hobbs of the “Half Dipper Blog”, and Stéphane of “Tea Masters Blog”, have all been a huge help in all of my tea endeavors. What do you do when you meet? Do you run through tea tastings? A normal meeting consists of a brief lecture on a type or aspect of tea, Followed by a extended tasting of one tea, or a comparative brewing of two teas. I have created flavor maps to help our members describe the tastes and aromas, and we are constantly adding new ones to the list. During a comparative brewing session we talk about each tea during each brew. During a extended tasting, we are silent. We each get a note card and write down our own review. After the session we discuses each others reviews. It can be enlightening how similar or different each review can be. Often members will exclaim at a certain point “That’s what I was tasting!”. Once we have permanent facilities, I will begin to hold Teaching sessions for members to learn to brew themselves. Currently we Have 40+ members on our list serve (our newsletter), And thankfully we constantly have 8 members present per meeting (I don’t have the equipment to brew for more than 8). You said you are going to build up a library of teas, does this mean a Pu-erh archive as well? The Tea Library will Include exemplary examples of all kinds of tea. We are aware that it would be impossible to include every tea in the Library. Instead of going the “Library of Congress” route, We have decided only to include the teas that exemplify the qualities of its type. This gives me hope for the youth of America.